For the future of logistics outsourcing, there are two possibilities: either guess it, or invent it. The choice for any given organisation depends on the strategic importance it attaches to its logistics. However, with the positioning of the supply chain overall as one of the few remaining sources of true competitive advantage, enterprises are likely to be better served by determining their own logistical destiny. Nevertheless, that does not preclude looking at trends appearing today to consider their potential impact or possibilities for leverage. Leading on from the concept of developing a separate supply chain per business unit, the separate logistics outsourcing solution is the next logical step. The supermarket chain reaching out to traditional families, working parents, or younger generations with different buying styles, or the apparel manufacturer seeking to satisfy both the everyday clothing market and the hot fashion clientele, are both examples of entities with a need to adapt to a variety of channels simultaneously. 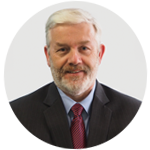 Third-party logistics providers (3PL) will have a decision to make, faced with this trend. They can accept increasing granularity in their customer base as customers mix and match providers to meet their own requirements. Alternatively, they can develop their own capacities to respond to a range of different demands from the same customer. Asset-based 3PL may be more likely to adopt the first approach, while non-asset based 3PL (or 4PL), who can broaden their network of subcontractors, will be able to play both sides. Whichever way a 3PL goes, the invitation will be out to IT vendors to produce applications to match. Increasing complexity with a workforce that may not be able to grow to handle extra work manually will mean increasing use of technology to maintain logistics law and order. Now that mobility and cloud computing are major activities for so many companies, the natural format for such solutions will be as Software as a a Service (SaaS) solutions. Once again, non-asset based 3PL/4PL may be favoured, in particular by such solutions that will facilitate rapid sign-on and sign-off for subcontractors as customer demands dictate. 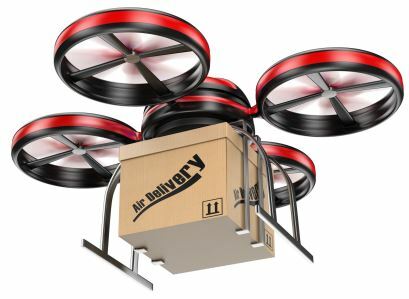 Online retailer Amazon is already experimenting with delivery by drone. Robots are getting smarter and smarter. The latest generations mimic sequences of actions shown to them by ‘normal’ human beings and can pick and pack with increasing dexterity. Compared to the American dream of robot-driven, lights-out operations, Japanese companies showed that humans still have a key part to play. The future is, therefore, seen not as one of machines versus people, but of machines working side-by-side with people. In logistics outsourcing in particular, technology remains an enabler or an accelerator, but not a replacer. 3PL will need both good people and advanced machines to compete over the coming years. Some of the more recent developments, such as Big Data, have yet to make an impact in logistics outsourcing. In fact, Big Data still has to make an impact anywhere. Likewise, the Internet of Things (IoT) with its potential for making information available from warehouses, forklifts, delivery vans, delivery staging posts and packaging themselves, has yet to take on a role for 3PL. Because of the crucial human element, 3PL are unlikely to see advantage just from mountains of additional information available via the internet. Wait and see is the order of the day, with occasional peeks at other players, just to avoid being left behind. Small and medium size businesses are under the same market pressure as larger companies to produce and supply flexibly. On the other hand, they do not have the same internal resources. Large investments in material handling automation (MHA), for example, may be beyond their reach. The natural consequence is that SMB will increasingly turn towards 3PL for faster, more efficient logistics solutions. Growth in the logistics outsourcing market would hen be largely driven by this category of customer. However, that does not necessarily mean that 3PL that are SMB themselves. The 3PL world in general is still dominated by around 25 very large logistics providers, with the global reach to provide solutions to practically any country in the world. As China continues on its economic growth path, to be followed by India in a few years, the larger players look set to continue to control the bulk of 3PL operations. Smaller 3PL companies will need to look for competitor faults as much as for market opportunities, if they are to increase their turnover and profitability. In theory, ‘survival of the fittest’ holds good: the entity best adapted to its environment will last longest. However, 3PL that decide they would rather be excellent in just one sector, instead of good in many, may find that their adaptation lays them open to takeover bids by customer corporations looking to integrate vertically. Where ‘bigger fish’ eat smaller ones like this, the future of logistics outsourcing may operate under a different law, that of Requisite Variety: the (3PL) entity with the most choices available will be the one that succeeds best. 3PL that see value in maintaining their own infrastructures, and that also want to keep the direct contact with the end-customer (rather than subcontract to another logistics provider), will increasingly look for the lowest common denominators and base their operations around these. 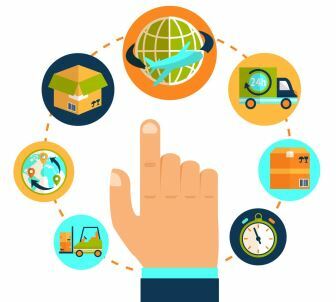 In the same way that manufacturers and IT software vendors look for the best compromise in reusable components, so will these 3PL. Reusability for them, however, will need to be found, or created, in their facilities, operations and technology. Will the concept of a completely modular workforce be workable for 3PL? Logistics providers today are still too channelled and rigid for employees to easily cross boundaries between warehousing, transport, planning,and contract management. However, reorganising hiring and training for reusable worker skills over a range of different logistics requirements make be a longer term solution to a problem that plagues the logistics industry at the moment – an aging workforce and difficulties in recruiting enough replacement staff. IBM cites business model innovation as being voted the most important success factor by a large number of global CEO. The IT vendor reports survey information that 65% of business leaders are aware they will need to fundamentally modify their businesses, including their business models, in the near future. Moreover, they look to external partnerships and collaboration to help boost levels of innovation for such modifications. 3PL are not exempt from such contribution. Increasingly, customers are looking to their logistics providers not only for quality and performance in logistics execution, but also for business ideas. In fact, customers don’t just want innovation in terms of improved processes, better technology or additional services. These actions are aligned towards doing things right, rather than finding more right things to do. They want their 3PL to break the mould and come up with a quantum jump in profitability, growth or at least differentiation. This kind of innovation may lead to different kinds of interactions and even contracts between customers and their 3PL. A tactically driven focus on key performance indicators and risk mitigation would be augmented by joint customer-3PL think-tanks and strategic planning: at least for those 3PL whose capabilities to innovate match customer expectations. Other studies suggest that customers have a significantly lower opinion of 3PL potential for innovation than 3PL do of themselves. If 3PL are to become powerhouses of business innovation, it is only natural that they seek corresponding compensation. Objectives may be defined in the future between customers and their logistics providers on a ‘fixed plus variable’ basis, where the variable component is based on the customer’s success thanks to the logistics solution. If 3PL then choose to practice gain-sharing with their employees, the nature of the logistics outsourcing industry may change yet again, from a ‘job for life’ (or almost) mentality to a performance-based environment. This, too, may have an effect on the make-up of the workforce as the siren-call of higher income attracts talent that might have ignored the fixed-wage option. The future of logistics outsourcing will be determined by a number of different forces, some working together and others working in opposition. 4PL will be relatively well-positioned to answer demands for flexibility and customisation, as long as they maintain their networks of subcontractors. Cloud computing applications will also help them. Technology will help, but without turning the 3PL industry on its head – at least no until it has sorted out issues relating to the profile of its workforce. Finally, business innovation is likely to become a bigger factors in the 3PL world, not only because customers will increasingly insist on it, but because it holds the key for 3PL to escape from various constraints and to effectively plan for the future by defining it themselves. Very informative articles on logistics outsourcing. Outsourcing needs technical processing. Thank you that found our article informative. I hope you’ll be able to take some knowledge from this and apply it to your business/career.